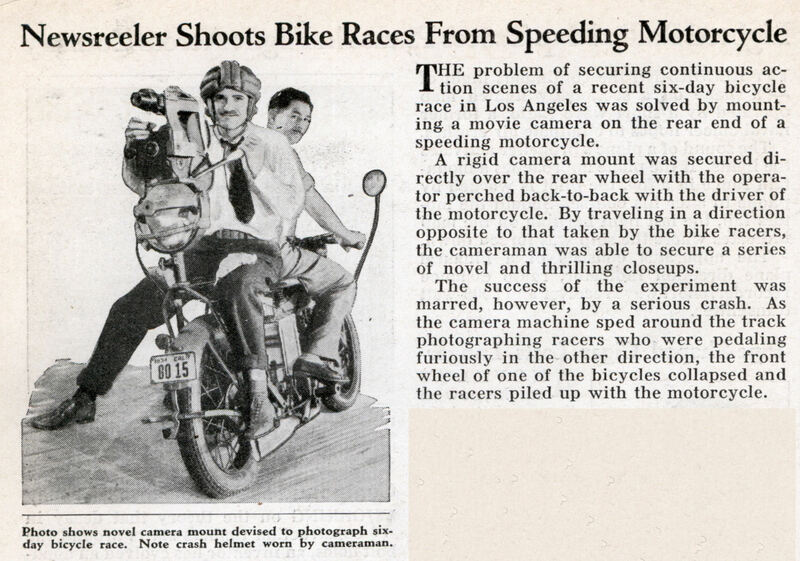 THE problem of securing continuous action scenes of a recent six-day bicycle race in Los Angeles was solved by mounting a movie camera on the rear end of a speeding motorcycle. A rigid camera mount was secured directly over the rear wheel with the operator perched back-to-back with the driver of the motorcycle. By traveling in a direction opposite to that taken by the bike racers, the cameraman was able to secure a series of novel and thrilling closeups. 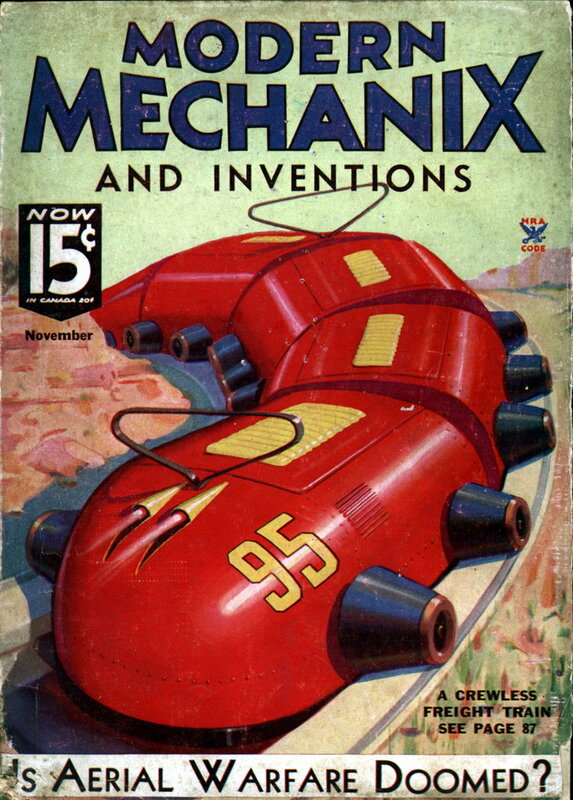 the camera machine sped around the track photographing racers who were pedaling furiously in the other direction, the front wheel of one of the bicycles collapsed and the racers piled up with the motorcycle.